Last Wednesday, a Staten Island grand jury decided not to indict 29-year-old Daniel Pantaleo, the White New York City cop who applied an illegal “chokehold maneuver” to Eric Garner’s chest and neck causing his death on July 17th. Immediately following the grand jury’s decision, well-meaning Whites took to Twitter to show an “act of solidarity” using the hashtag #CrimingWhileWhite. A simple Google search of the term yields stories from New York Times, Washington Post, CNN, and USA Today. 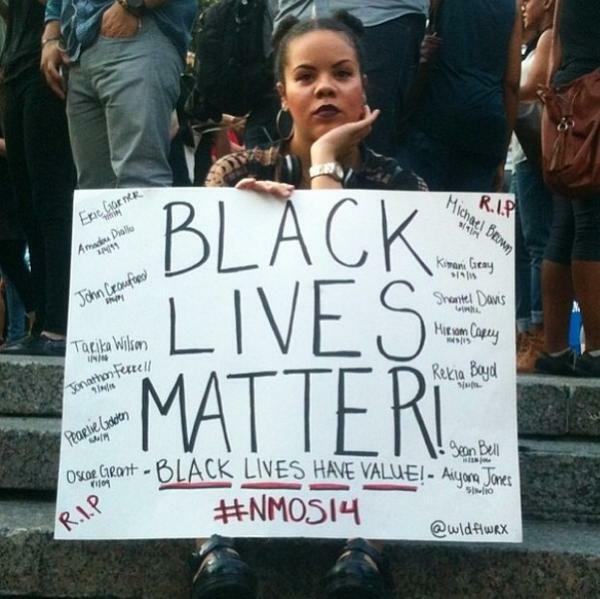 But, doing the same for#BlackLivesMatter – a hashtag started by Black activists – yields strikingly different results. So, what does it say about solidarity when the rallying cry of this generation’s Selma gets less traction on social media and in the mainstream than White privilege confessions? The #CrimingWhileWhite hashtag can best be understood as Whites noting and “confessing” their privilege, drawing on differences between themselves and murdered Black men like Eric Garner and Michael Brown, but not actually doing anything about it. It isn’t an understanding of the issues facing the Black community and police violence so much as it is a platform for concerned Whites to air their own grievances with White Privilege – the very privilege which many willingly benefit from rather than seek to dismantle. Sadly, the hysteria and self-aggrandizement of White people’s understanding of racism in the United States resulted in the hashtag being the highest trending topic in the United States outpacing those used and promoted by Black Americans seeking justice for the unanswered brutality against their communities. Media outlets equated the hashtag’s importance with those created within Black communities, once again undermining Black folks’ efforts to empower and amplify one another. It seems even within this “act of solidarity” White Privilege squelches the advancement of Black voices.